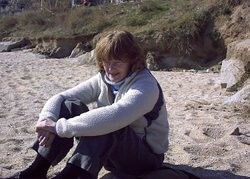 Penny Kline has previously worked as a psychotherapist in the NHS and a university lecturer. Penny began her writing with radio plays – having had two broadcast on Radio 4 – and then went on to write several crime novels. Penny halted her writing for a while after her partner became ill. Following his death, Penny wrote Ursula’s Arm, set in the 1930’s, about psychoanalysis, Marie Stopes, and what married women were expected to put up with.’ She has now returned to crime writing and Nobody's Baby is set in and around Exeter, where she once lived while running the student counselling service at the university. Penny now resides in Bristol.